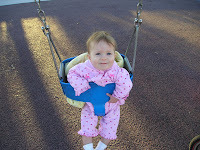 Scotlyn loves to be out and about. She loves going to the grocery store, car rides, stroller rides, and even walks to the mailbox. 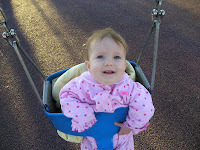 Today she was getting cranky so we went for a walk to the park. 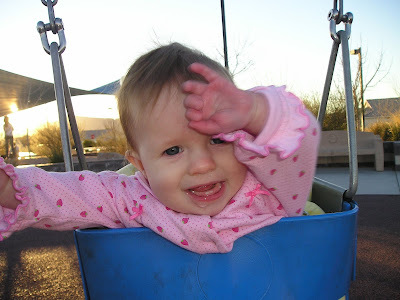 Scotlyn loved the swing. She wore herself out. This picture is the best ever. She's having so much fun.